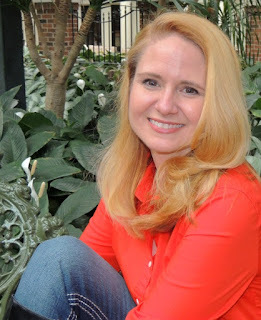 It’s a pleasure to welcome fellow blogger and author Stephanie Faris back to Thoughts in Progress to tell about her newest release, PIPER MORGAN MAKES A SPLASH. This is the fourth installment in Stephanie’s Piper Morgan series aimed at youngsters ages 6 to 9, but is entertaining for all ages. 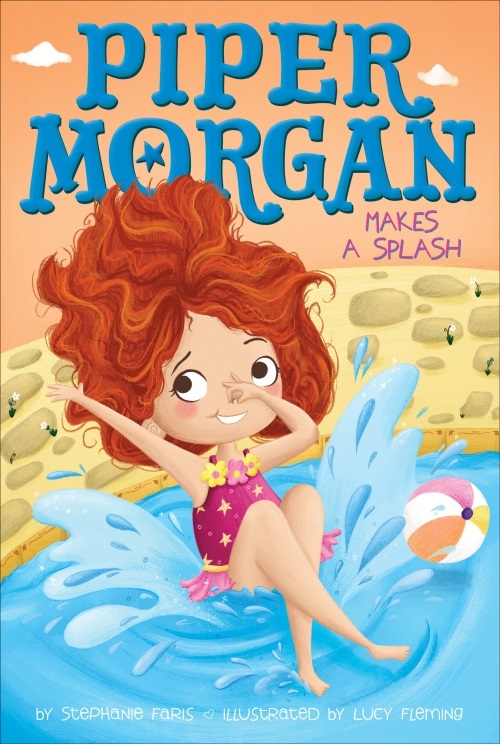 As part of the tour, Stephanie is giving away a signed copy of PIPER MORGAN MAKES A SPLASH. Please see the end of the post for more details on the giveaway. PIPER MORGAN MAKES A SPLASH is available at the following sites: Amazon, Barnes and Noble, and IndieBound. For those who aren’t familiar with Stephanie, here a bit of background on her. Stephanie Faris is the author of the middle grade books 30 Days of No Gossip and 25 Roses, as well as the Piper Morgan chapter book series. An accomplished freelance writer, her work has appeared in Writer's Digest, The Writer, Pacific Standard, Mental Floss, and The Week, among many others. For more on Stephanie and her writing visit her website and blog, then connect with her on Facebook, Twitter, and Instagram. This tour-wide giveaway is for a signed copy of PIPER MORGAN MAKES A SPLASH. To enter the giveaway, just click on the Rafflecopter widget below and follow the instructions. The widget may take a few seconds to load so please be patient. Thanks for stopping by today during Stephanie’s visit. Isn’t the book cover for this story just adorable? Congratulations (yet again) to Stephanie. And thank you so much for your generosity is spreading bloggy, booky love. Thank you SO much for including Piper on your blog today! You're the best!!! Congratulations to Stephanie! Anyone who can get little ones to enjoy reading deserves admiration. Thanks for sharing, both. Congratulations Stephanie. This is a delightful book for my granddaughters who love books and reading. It sounds like a really cute book. Will be reading this one. This book looks adorable. Congratulations, Stephanie. I am sure our girls would love this, thanks. I'm stopping by on the "Piper Morgan Makes a Splash" Birthday Book Tour. Congratulations to Stephaine! I love Piper and her stories and the covers are adorable. I would love to get my grand daughter started on these books.